The struggles of the street and garbage dump children of Cambodia are examined through the personal stories of five children and their journey toward education. 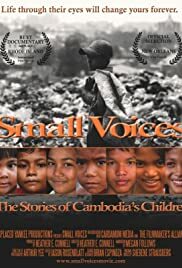 This film is a heart wrenching documentary on the plight of just a few of the children who live on the streets and in the dumps of Cambodia. Although the movie can bring you to tears you cannot help but be impressed at the courage and will to survive displayed by the featured children. It is hard not to become attached to Charam, Laysang, and Linna. The movie has some very humorous moments as well especially when one of the kids grandmothers is on screen. Writer, Director, Producer H.E. Connell appears to be an up and coming documentary powerhouse with a new film in production. It seems as though the movie producer also has a foundation for these kids. After watching the movie you should look for the website.